For something to be considered Royal, it has to be special, one of a kind. The 10-year process starting from seed to cigar ensures special treatment goes into every step and ingredient in the making of the Royal Release. Starting with harvesting in separate fields to curing in the Master Barn to only eight of the finest rollers, who have a combined seven million cigars under their belts, everything has been overseen by Master Blenders to ensure color, texture, aroma and burn. With approved bales spending eight years again, the origins of the Royal Release line can be traced back to the 2004/2005 harvest year—a year of near perfect conditions and ideal rainfall. When you smoke a Royal Release, you are getting the luxury, privilege and hand selection that went into the making of the line, every time. -Aromatic Dominiciana Wrapper that you won’t see on any other cigar. -Notes of oak, leather and fresh spices with hints of sweet corn and milk chocolate with a creamy aftertaste. Happening once every 12 years, the Rooster is the tenth animal to appear in the Chinese zodiac calendar. Something this infrequent deserves a unique cigar. With the limited edition, unique packaging and limited release of only 8,000 boxes worldwide, the Rooster Cello pays tribute to the 2017 Year of the Fire Rooster. It starts with the Diademas Finas shape, a challenging shape to roll with the most experienced rollers being able to produce about 100/day. Moving on to the shiny Ecuadorian dark brown wrapper with its secondary red and gold ring with the Rooster image shining brightly. All the way to the glossy, red box symbolizing this year’s good fortune and joy. The Rooster Cello is something you can only experience, say, every 12 years. -Unique taste experience offering the ability to alter flavors by varying the wideness of the cut. A wider opening leads to a lighter, smoother draw while a smaller opening cut offers an intense flavor. Either way, enjoy this cigar slowly. 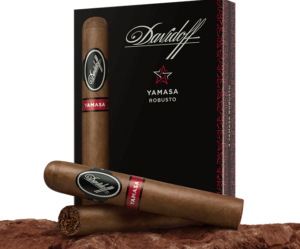 Truly encompassing Davidoff’s pioneering and discovering spirit, the Yamasa was a doubted dream. The Yamasa region in the Dominican Republic has many things including the ideal climate and mineral rich soil. Something it lacks? The correct pH levels for tobacco. Instead of dismissing the area, Master Blender Henke Kelner made it happen by enriching the soil and raising the pH levels. 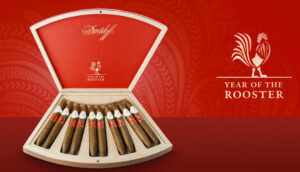 A 20-year process, the Davidoff team turned an untapped region and doubted dream into a success story. The Davidoff Yamasa Piramide was rated # 2 cigar by Cigar Journal Top 25 cigars of 2016. -Leading notes of spices, followed by notes of nut, coffee, cedar, earth and black pepper. -New, stimulating flavors provided by aged Dominican filler, sweet Condega filler and spicy Esteli filler tobaccos with Yamasa binding and wrapper. 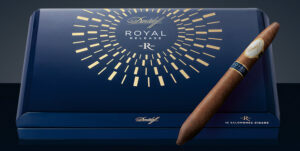 No matter which Davidoff cigar you choose, you know that you are smoking some of the best in the world. This year is no different with Davidoff’s three new releases following the traditions of new ideas, quality tobacco, and unique flavors. As the largest Davidoff Depositaire in Edmonton we are honored to carry these new cigar releases in each of our three local YEG tobacco shops.